Charles Danaher primarily represents insurance companies that are sued for bad faith, fraud and unfair competition. Charles' clients include Allstate Insurance Companies, State Farm Insurance Companies, Kemper Insurance Companies, Farmers Insurance Exchange, Infinity Insurance Company, Auto Club of So. Cal, and Loya Insurance Group. While the focus of his practice is in California, Charles has represented insurance company clients in Wyoming, West Virginia, Mississippi, Nevada, Florida, Montana, Indiana, Missouri, Alaska, Maryland, Arkansas, Oregon, Georgia, Arizona, Colorado and Ohio. Charles has served as lead counsel in numerous class actions filed against his insurance company clients. 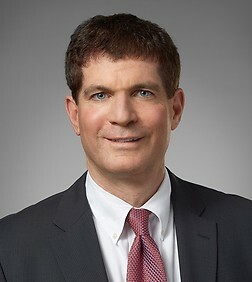 He has successfully defended class actions involving such issues as the payment of overhead and profit, lessor liability coverage, the payment of sales tax, the manner in which actual cash value is determined, whether coverage exists for innocent co-insureds, issues involving med-pay coverage, and allegations of premium overcharging. Together with the members of his practice group, Charles was one of the first attorneys in California to successfully advocate the "genuine dispute" defense. Today, this defense is considered to be the most important and viable defense available for an insurance company that has been sued for bad faith. Charles has been appointed by Infinity Insurance as national coordinating counsel for bad faith claims against the company. Charles is also Infinity Insurance Company’s national coordinating counsel for third-party diminished value claims. Charles also represents the Unum Group in actions and disputes involving individual disability policies. Charles and his partner Ronald Getchey have been appointed as coordinating counsel by Allstate Insurance Company to direct its defense of lead paint litigation against the company’s insureds. Charles recently co-authored the brief that persuaded Maryland’s highest court to adopt the Daubert/Joiner standard when evaluating expert testimony under Rule 702. Rochkind v. Stevenson, 454 Md. 277, 164 A.3d 254 (2017). Charles has successfully represented Dole Food, Inc. in several consumer class actions challenging Dole’s labeling practices and issues involving Dole’s leases with third-parties. Charles also represents Frontier Communications in both class action and consumer litigation across the country. Charles has obtained numerous published decisions from state and federal courts on significant issues affecting the insurance industry. Du v. Deerbrook - Defended Deerbrook in a jury trial. Plaintiff alleged that Deerbrook refused to settle a claim against its insured for the policy's $100,000 limits. Because the claim was not settled, the insured was ultimately found liable for a $5 million judgment. Deerbrook was sued for the amount of the judgment based on a "bad faith refusal to settle" theory. Defense verdict. This case was selected by the Daily Journal as a "Top Defense Verdict" for 2010.